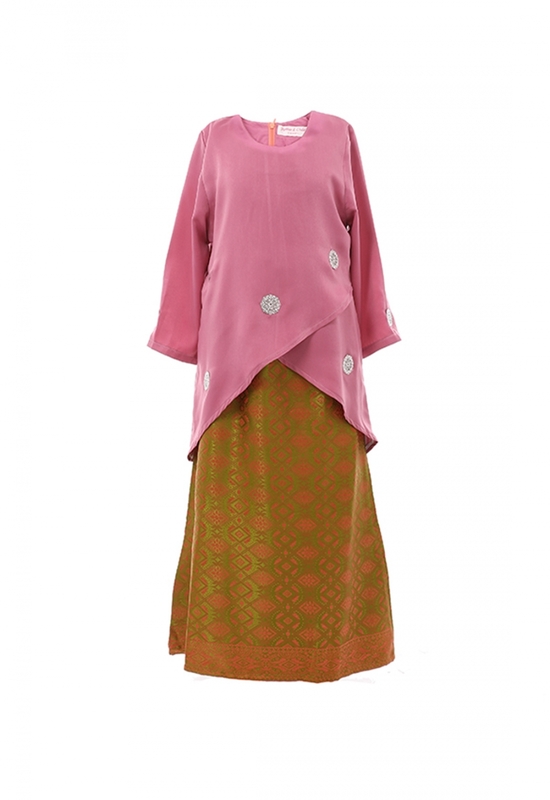 Modern design Kurung with Metal Plate (Dokoh) Patch. Neat and nice cutting suitable for kids. Material used with 100% polyester with Traditional Songket / Flower Motive Long Skirt.